These days, we just can’t live without Google. It’s our lifeline and gives us solution to every possible thing. If you are facing difficulties in getting any answer, you need to switch to Google. Be it health problems, be it life problems or be it breakup problems, Google will tell you everything! However, many might not know that Google is much more than just a search engine. It is a complete package of entertainment, provided you know some hidden facts. Yes, there are many awesome Google tricks that many people don’t know. Given below are some of them; you will love them and thank us for sharing those with you. 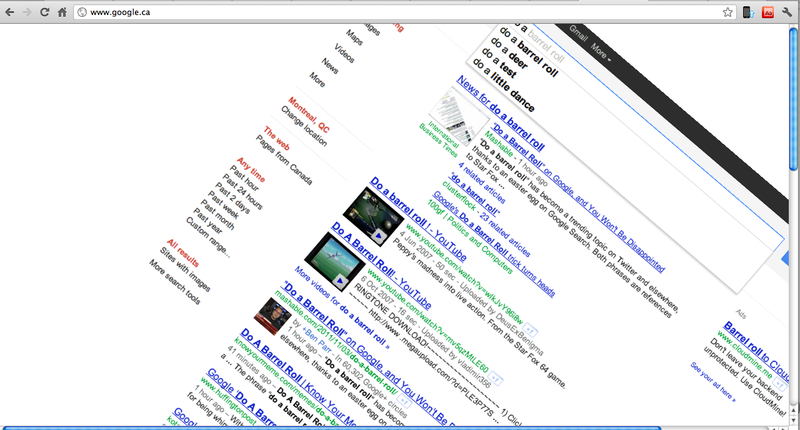 As usual, logon to the Google homepage and simply enter “Do a barrel roll” in the search box. The moment you press enter, the screen would be seen tumbling upside down. If you are too bored and want to try some new game, you must try out Google’s Atari breakout. It’s very simple. Go to Google, type “Atari Breakout” and now click on “Images”. When you click on the very 1st image, the game would start. 3. Want to experiment with Google Sphere? Not many know about this “Google Sphere” trick. In the search box, type, “Google Sphere”. Don’t press enter, instead click on “I’m feeling lucky”. That very moment, the contents on the page would form the shape of a sphere and the overall sight is super-lovely. Previous article ‘भाबी जी घर पर हैं’ के सितारों की कमाई जानकर हैरान रह जाएंगे आप! Owner Of Freedom 251, Mohit Goel Detained For Doing Fraud! Here’s What Happened! Akshay Kumar To Romance This Bigg Boss Contestant In “Toilet: Ek Prem Katha”!